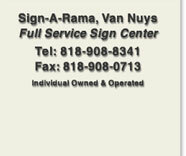 Signarama of Van Nuys specialize in all types of interior Signs including Braille ADA signs, directory signs as well as metal letters, acrylic, PVC and painted foam letters. 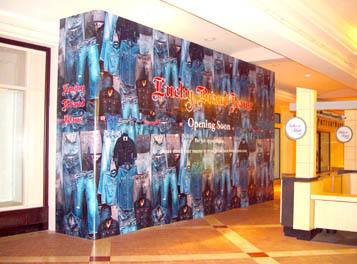 and provide the upscale look of your office interior. exceptional details to letter styles, logos and graphics. Signarama of Van Nuys. Your One Stop full service sign shop. 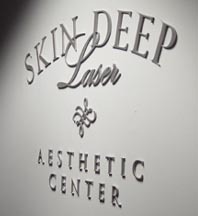 We are centrally located in the San Fernando Valley. 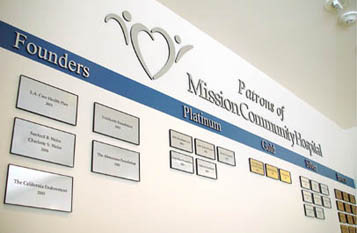 Our service includes design, manufacture and install channel letters, interior and exterior metal and acrylic signs, car wraps, banners, braille ada signs and custom neons. Serving Los Angeles and San Fernando Valley cities including Van Nuys, Reseda, Encino, Sherman Oaks, Burbank, Tarzana, Studio City, Northridge and North Hollywood.